Sachin Tendulkar batting tips on how to play the perfect straight drive. In the video, Sachin Tendulkar explains how you can play cricket & straight drive shot. 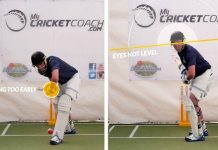 He further mentioned that by adopting the right batting stance and how he generally stands inside the crease while playing the straight drive. In other videos sachin has explained how to play other shots in cricket. Sachin loves to play straight drive shots against bowlers like Brett Lee, Shane Warne, Chaminda Vass, Mcgrath & others. 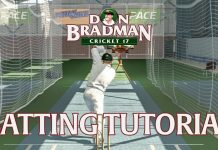 Online Cricket Coaching – Batting Tips – Batting Drills – Improve today! Alwafaa Group a leading IT solutions company in Dubai, UAE since 2002. We provide quality and cost effective solutions for website design, digital marketing & web hosting services.